It is certainly that people choose to operate large amusement equipment is in order to obtain higher economic profits. However, there are many factors will impact the economic benefits of large amusement equipment. Including the attitude of the staff who operating large amusement equipment, they will also play an important role in improving economic benefits of large amusement equipment. Quality service can help to improve economic benefits of large amusement equipment. Here we come to learn how to do a good job of service work. Quality service includes two aspects: First, to ensure the quality and safety of the large amusement equipment that provide for visitors to play, as well as a variety of facilities to help the visitors; Second, make sure the staff happy and sincere to provide visitors with good service. 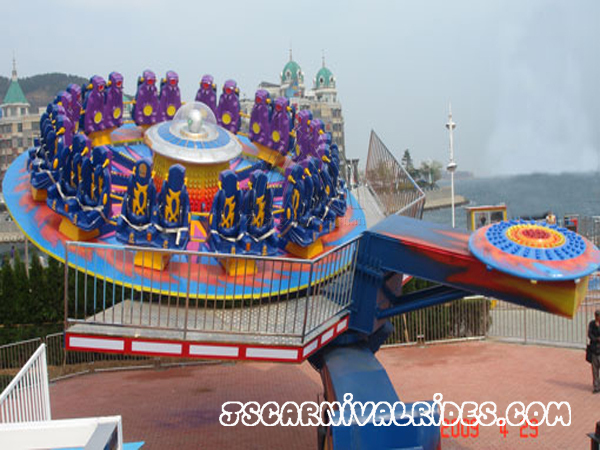 The service quality of large amusement equipment include two aspects: tangible product quality and intangible product quality. The former are mainly include the quality of equipment, decoration style, environmental characteristics and so on. And the latter is the value that reflected by the following: service attitude, politeness and courtesy, personal appearance of your staff, words and action, sanitary, service operation. The two are interdependence and indispensable. The Large-scale Playground Equipments is not Suitable for All People to Play. Therefore, if you want to improve your economic benefits of large amusement equipment, you should not only buy good quality equipment and do a good job in routine maintenance, but also focus on improving the service attitude of staff. Prev： What Are The Advantages Of Operating Small Children Playground Equipment?